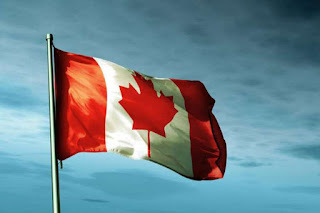 Canada Day only falls on Sunday once every seven years. That’s an opportunity for an upbeat homily about our beautiful country and our many blessings. But not this year—because we need to take a look at some things that are happening in Canada and what they mean for Christians. I know you’d rather hear a homily celebrating Canada than criticizing it; so would I. But a friend sent me a quotation this week attributed to Archbishop Fulton Sheen, who was not only America’s best preacher but a 20th century prophet. When I read it, I knew I couldn’t deliver a feel-good sermon today. Humanity in a crisis is generally insensitive to the gravity of the times in which it lives. Only those who live by faith really know what is happening in the world; the great masses without faith are unconscious of the destructive processes going on because they have lost the vision of the heights from which they have fallen. I don’t think one Canadian in ten thinks we have a problem in this country. And I do think that most of those who recognize the destructive processes at work are people of faith. But even men and women of faith often fail to understand the heights from which Canadian society has tumbled, because our fall from Christian morality has happened in slow motion—not from one cause but from many. We could analyze numerous social shifts that are opposed to Gospel values—for that matter, opposed to the values shared by most major religions—but I want to point out three of the most recent. Life is a good in and of itself— God “created all things so that they might exist.” All life is precious; its value is not measured by the so-called “quality of life” or anything of that sort. We were created for eternity, and it is in eternity that the quality of life will more than compensate for the struggles some people encounter at the end of their life on earth. Before turning to the second social shift—I should really call these legal shifts—I want to give you another reason for this somber homily on what should be a joyful day. The reason is simply this: law-abiding people, people like us, tend to think that if something’s legal is must be right. Law not only reflects social values, it creates them. Archbishop Carney once told me that chicken wasn’t subject to meat rationing during the Second World War. As a result, Catholics—who were not allowed to eat meat on Friday—started to eat chicken, since if the government said it wasn’t meat, it must be true. The courts have redefined tolerance in numerous decisions interfering with the freedom of people of faith. The most recent may be the most serious: the Supreme Court of Canada has effectively allowed the legal profession to be closed to graduates of a law school where students must commit to live according to the moral norms that were once universally held by all Christians. In the words of the two dissenting judges, the Court has turned the protective shield of the Charter of Rights and Freedoms into a sword. And there’s not much doubt which group of Canadians that sword will slash. The third source of sadness on this Canada Day may surprise you, since it’s hardly as grave as the euthanasia or Trinity Western decisions. But as I told you, I'm focusing on the most recent social shifts, and this one’s also current—the court-ordered legalization of marijuana, now enshrined in law. Although I didn’t use marijuana, I grew up hearing that it was not addictive. That was a lie or at least a huge mistake in terms of what we know now. The bishops rely on modern science and the modern understanding of addictions when they say marijuana “is an addictive substance that will have disastrous effects” for many people. There was a time when a Canadian who didn’t break the law would be following God’s law in most matters. Sadly, tragically, that time has passed. Only the Creator’s law can guide us now to the good life, and to the righteousness that leads to life eternal. So on this Canada Day, let’s not only pray for the nation, but lift up our eyes to the lofty vision of creation and the human person that is our heritage as Canadians and Christians.